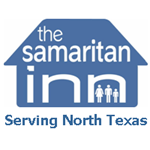 The Samaritan Inn is the only homeless shelter serving Collin Counties 700,000+ residents. The Samaritan Inn program is not about a place to sleep and a place to get a meal. The Inn was founded over 25 years ago and has been successfully helping individuals and families regain their independence through job training, job search assistance, social services assistance, budgeting and other programs that require accountability on the part of the residents. The program has a 70% success rate. They need a CMS package that charity can manage themselves. a. Current site is not flexible enough. We want a site built on a CMS (DNN or Drupal) whereby staff members at the Inn can maintain the vast majority of the site without technical help. b. The site needs to be updated to match our new logo and color scheme. c. The site needs to facilitate finding information quickly and easily and making a donation with one click from every page. d. The site must be low cost to host and support; ideally using open-source tools (CMS, database, as much as possible. e. We have a basic design already developed by Peggy Smolen who is responsible for marketing and re-branding.